What should I do if my air conditioner stops working? First, shut-off the unit at the thermostat. Next, check the filter to see if it is clogged with debris and change if needed. Check to see if the breaker has been tripped at the main electrical panel. Check to see if the thermostat is operational or requires battery replacement. Contact SA Sloop associates for repairs or service if needed. What should I do if my furnace stops working? What should I do if I smell natural gas around my furnace or water heater? If you smell natural gas, call your gas company, open windows and doors and exit the home immediately. Contact SA Sloop associates for repairs or service if needed. Standard filters should be changed every 6 - 12 months as needed. To change, replace the filter with the correct size and follow all manufacturer's instructions. Contact SA Sloop associates for filter upgrade options or any questions about replacing the filter. How often should I have my heating and air conditioning equipment serviced? 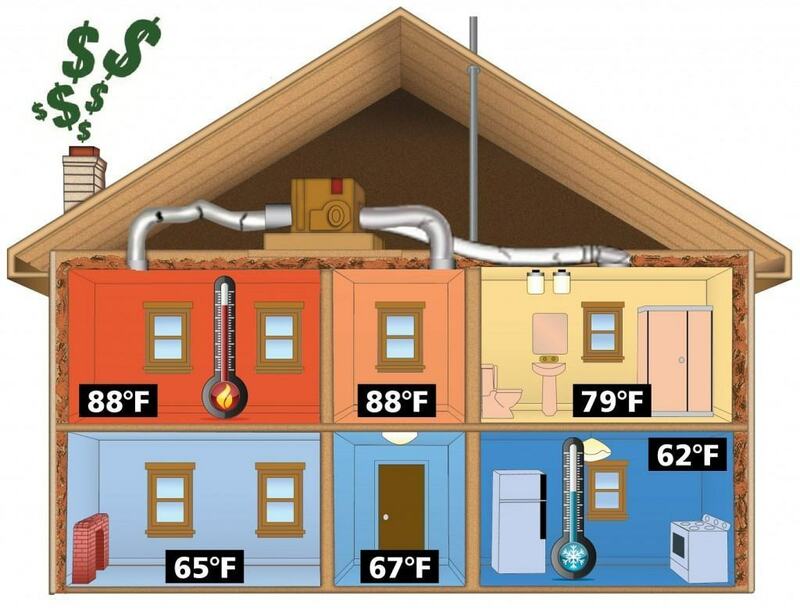 SA Sloop associates recommends annual maintenance on both your heating and cooling systems. Cooling systems should be checked prior to the hot summer months, and heating systems should be checked prior to the cold winter months. How often should Freon be added to my air conditioner? Air conditioners are a closed system and should not require adding refrigerant. If the equipment is low on refrigerant, there may be a service-related problem or a leak in the system. Refrigerant leaks can be repaired in some cases or may require equipment replacement. Contact SA Sloop associates for repairs or service if needed. What are the benefits of having a maintenance agreement? Routine maintenance lowers utility costs, maintains capacity and extends equipment life. SA Sloop's Maintenance Plans offer a 15 percent discount on parts and priority service. The service charge is waived for repair calls. What can a homeowner do to ensure the equipment operates efficiently? Keep your filters clean. Keep leaves, foliage and other debris from building up around outside air conditioners. It is important to schedule routine maintenance, safety inspections and repairs. Should the blower fan motor be set to “On” or “Auto”? It is generally recommended to set the fan motor to the "auto" position. Much like MPG measures your car's fuel efficiency, Seasonal Energy Efficiency Ratio (SEER) is a measurement of the energy efficiency of your HVAC system. SEER is the BTU of cooling output during a typical cooling season divided by the total electric energy input watts-hours during the same period. The higher the SEER rating of a unit, the more energy efficient it is. The current minimum standard set by the federal government is 13 SEER. What filter options are available for people with allergies? SA Sloop associates offers indoor air quality solutions to include media filters, electronic air cleaners, HEPA filtration systems, dehumidifiers, humidifiers, fresh air options, and ultraviolet lights. What do I need to know about R-22 and R-410A Refrigerants? All residential systems manufactured since 2009 have had the “New Freon” R410-A. R-22 production is being reduced by the Federal government and will no longer be produced in 2020. Because of this, prices have sky rocketed and will continue to rise.